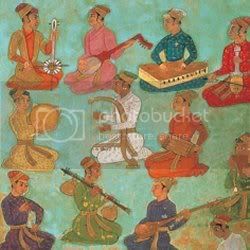 The Jaipur Gharana (also known as the Jaipur-Atrauli Gharana) is a Khayal based Gharana, founded by Ustad Alladiya Khan (1855-1946) in the late 19th century. An offshoot of the Agra Gharana, the Jaipur Gharana acquired its name and status as a Gharana in the early half of the 20th century as a result of the growing popularity of stalwarts of this Gharana like Kesarbai Kerkar, Mogubai Kurdikar, Mallikarjun Mansur and Kishori Amonkar. 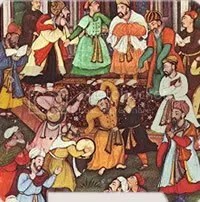 The Gharana is unique in that it was the first Gharana to be founded in Khayal Gayaki, whereas other major Gharanas were initially founded as Dhrupad-Dhamar Gayakis and eventually evolved into the Khayal Gayaki. The founder of this Gharana, Ustad Alladiya Khan initially developed the unique Gayaki of this Gharana following the partial loss of his voice which prompted him to develop an adjusted singing style to accommodate this handicap. As a result of his exploration, he raised the level of musical and vocal artistry to such heights that he was acclaimed as the ‘High Priest of Khayal Gayaki’. 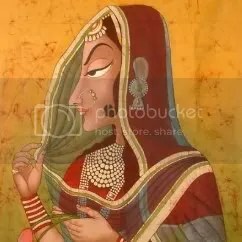 Renowned names of Jaipur Gharana include Jitendra Abhisheki, Padmavati Shaligram, Manik Bhide, Ashwini Bhide Deshpande, Manjiri Asanare and many more, besides the artists mentioned at the beginning of this post. 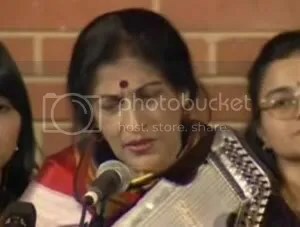 As is usual with most Gharanas, the list is long.